Certain Belarusian experts believe that the Eurasian Economic Union is a stillborn organization defending exclusively the political interests of Russia. A political analyst from Kazakhstan, Gaziz Scheimerden, confirms: today Russia is taking a series of measures that can be called the first attempts to revive the Soviet Union. Belarusians are not the only ones who don’t like it. 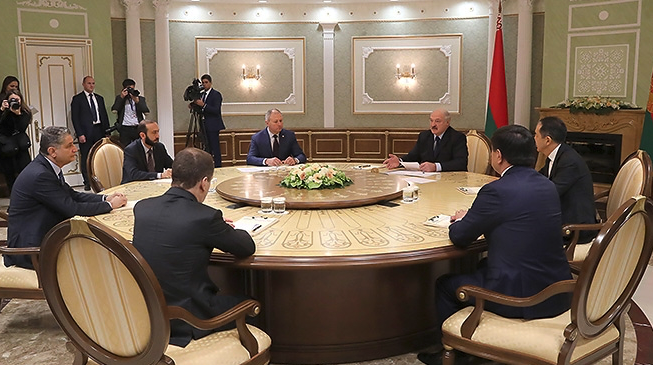 Belarus is not shy about expressing claims to the Eurasian Economic Union at the highest level. In their dissatisfaction, the Belarusians are not alone: ​​the representatives of Kazakhstan also declare that the union does not meet the stated goals and so far only has only benefited one participant — Russia. And the further the EAEU exists, the more aggressive measures are being taken by Moscow. “I was surprised to find out that you have no discourse regarding the single electronic currency in the EAEU space. We are currently having an active discussion about it. It was not initiated by us, of course, but mainly the Russian side. The only thing that happened was a statement from our government that the introduction of a single currency is not even being considered either now or in the near future,” Gaziz Shaimerden said. But the talks about a common currency are mostly conducted at the suggestion of the Russian side, and even the name of the new joint currency is being worked out. “There are even several options for names — Altyn, Eurasia. Referring to the experience of the European Union, they propose to introduce the so-called electronic currency. If it is introduced and limited only by mutual settlements in certain industries, then there will probably be nothing terrible. But if the process goes further, then it’s no longer any use of talking about economic independence,” added Gaziz Shaimerden.